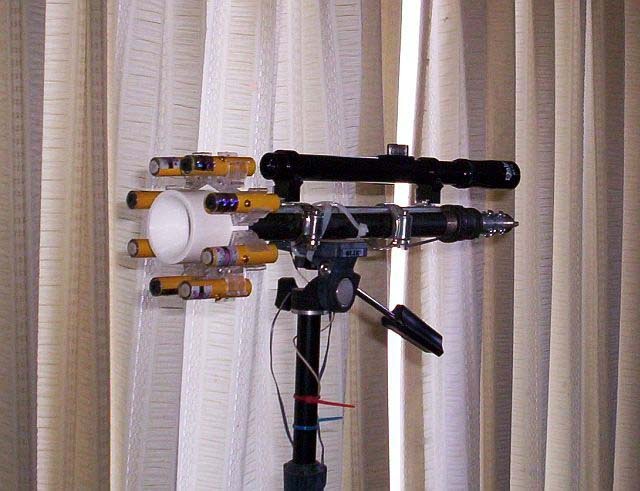 A laser pointer is mounted in a PVC "shotgun" and tested for DX. 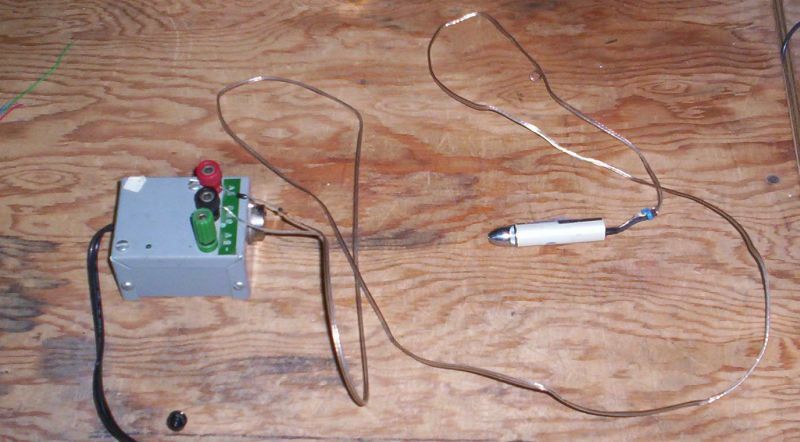 The laser and its power supply. 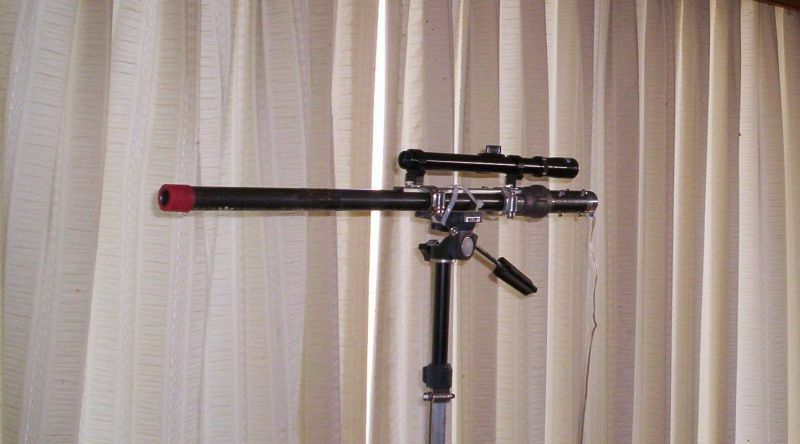 The shotgun mounted on a tripod. Not a very satisfactory mount. The left hand barrel is the sight. The laser mounting screws were adjusted to collimate the laser beam to the sight. Aimed and ready to fire. The target is about 60' (18m) away. The laser spot is 1" (25mm) to the right of the bull's-eye. Positioned for long range tests. 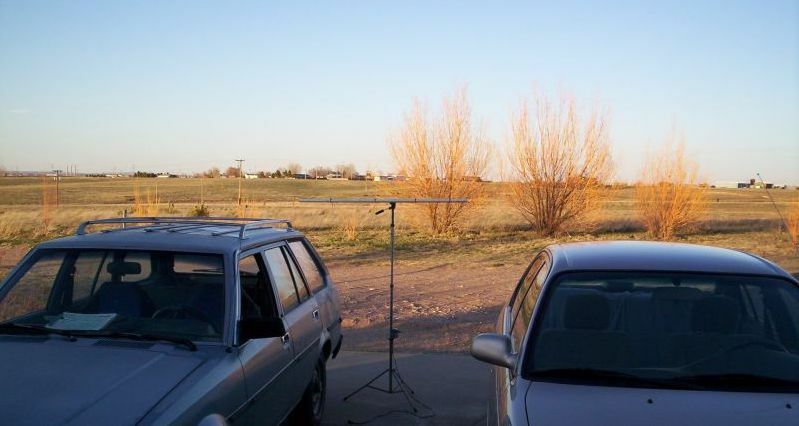 Later in the day (after dark) we aimed the rig at a target in a tree about 300' (91m) away and, later yet, at a bicycle reflector nailed to a utility pole about 1200' (365m) away. 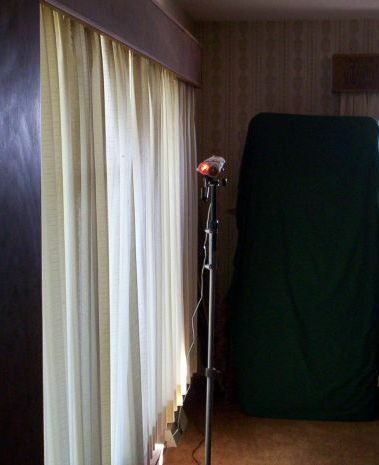 The bicycle reflector shot was made difficult by the unsteady tripod mount. 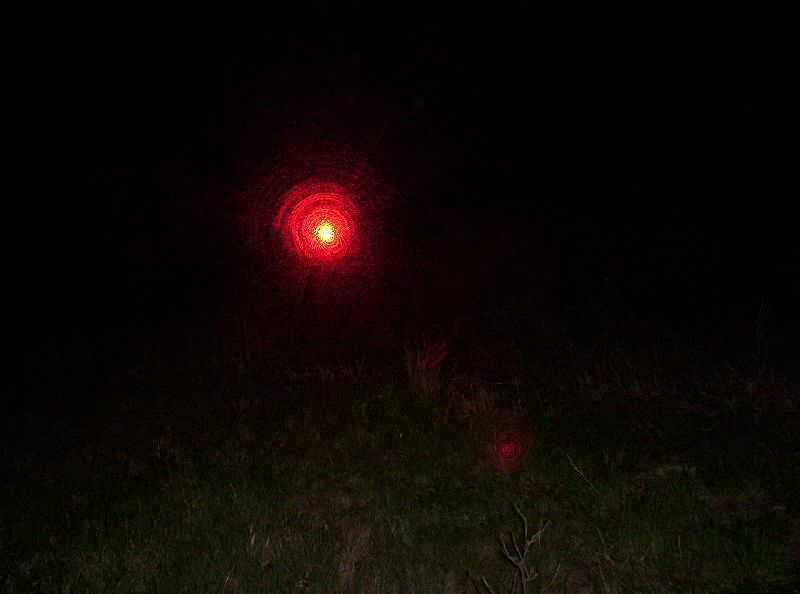 We then aimed the laser to a point on a golf course about a mile (1.6km) away and viewed the laser directly from that spot. 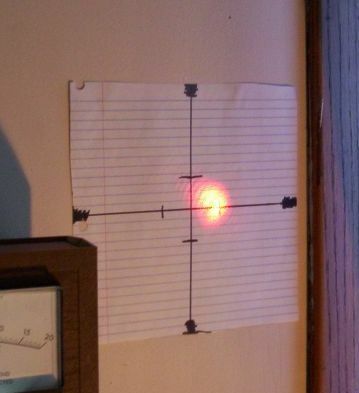 The laser spot now is about 8" (20cm) wide. 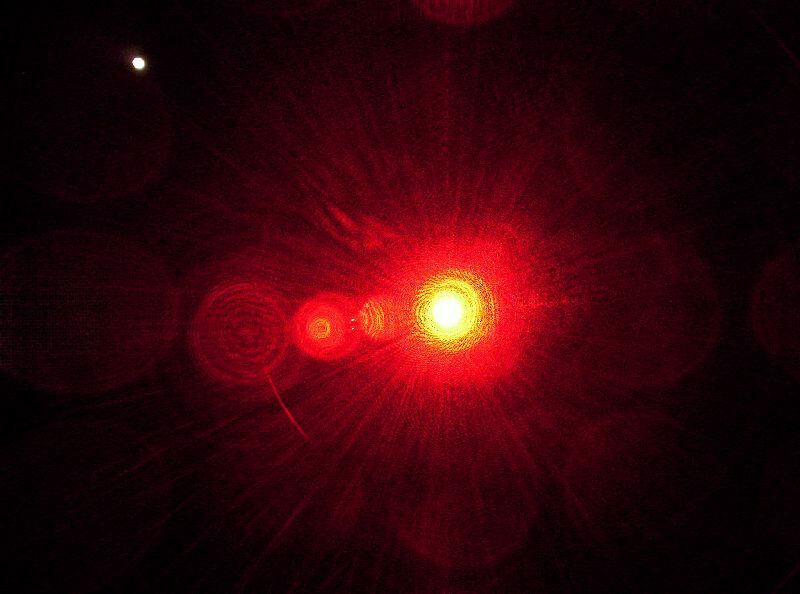 The white spot above and to the left of the laser is the moon. The view from the golf course (1 mile). 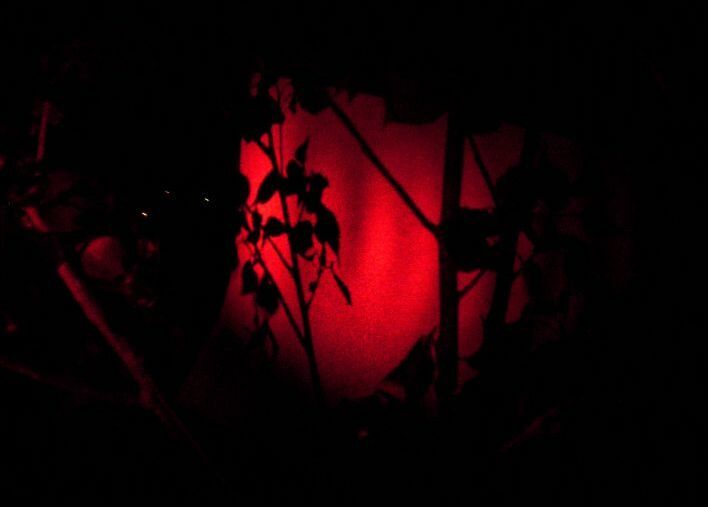 The laser appeared as a brilliant red searchlight. The digital camera imperfectly captures the effect. This was not a very serious effort, but it does demonstrate the idea and was good for a few yucks. 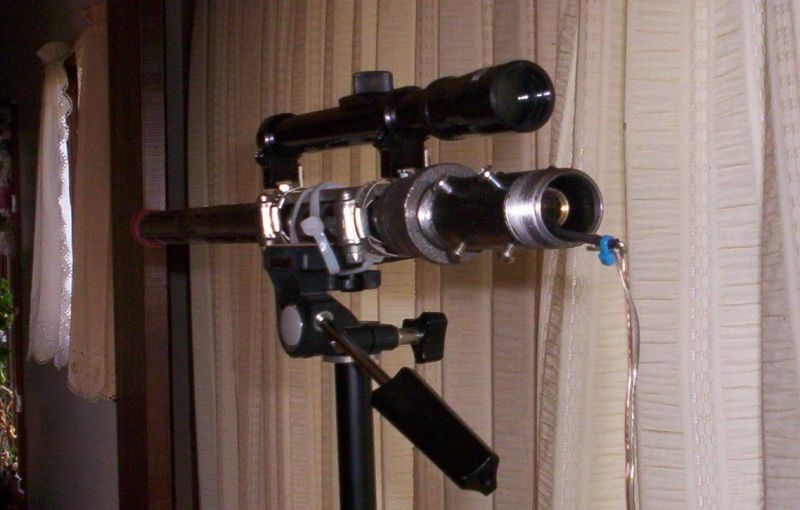 We speculate the laser, steadily mounted and properly pointed with a rifle scope or transit, would be seen (directly viewable with the naked eye) at a distance of at least 20 miles (32km). Gas pipe laser mount and Daisy 4x15 scope. While the mount is still pretty wobbley, this rig is MUCH easier to aim. The question has been asked: Why is the long barrel necessary? Why couldn't the bare laser pointer be used without the barrel?